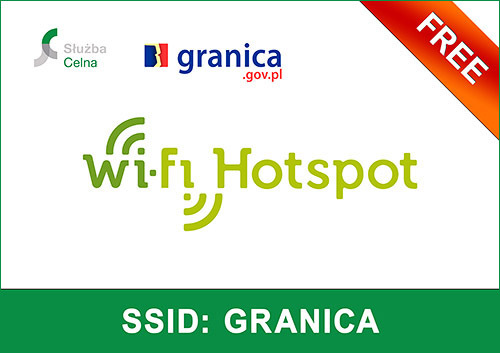 Free access (hotspots) to www.granica.gov.pl website at the selected border crossings is an innovative solution by the Customs Service, designed to facilitate the use of electronic system "VAT Refund for Travelers"
This allows the travelers equipped with mobile devices (e.g. 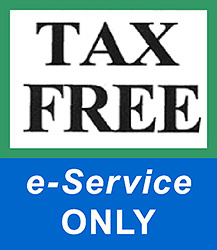 laptops, tablets, mobile phones, smart phones) with a wireless network card to register TAX FREE documents in "VAT refund for Travelers" system, which consequently will reduce the time of customs clearance. Travelers who registered TAX FREE documents in "VAT refund for travelers" electronic system or the seller completed it for them, can get another convenience accelerating clearance at the border. It will be possible due to the additional lanes at road border crossings with Belarus, Ukraine and Russia.